Relieve stress caused by home mortgage payments with a custom reverse mortgage from Go Lender Direct, Inc. in Temecula, California. Reverse mortgages are a specialty item provided by Go Lender Direct, Inc. with no points and limited cost to you. 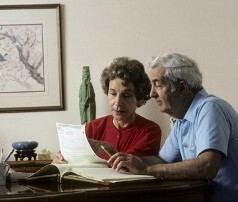 Remove the strain of monthly mortgage payments during your golden years. Reverse mortgages are provided based on age and equity to seniors who are income-qualified. You are able to experience no monthly payments and you only need to pay yearly taxes and home owner insurance. Once this plan begins, it stays with you until the home is passed to your spouse who is currently on the loan and can remain on the reverse mortgage plan. In the event that no one inhabits the property, it can pass to an heir who can refinance or sell tthe property to pay off the remaining balance on your loan. If there is no equity in the property, it can be returned to the mortgage lender. Contact us in Temecula, California, today to understand all of the benefits available to you in a reverse mortgage plan.